We have been ignoring men since long, but now we have understood it quite well that men are no way left behind women in matter of fashion. Tattoo designs is also such field, where men are giving tough competitions to women. I would say men are showing their real sense of manhood through the tattoos on their arms, chest, back or biceps. Most popular tattoo designs for men is what we have planned to make a collection today. You can select the best tattoo ideas for men and design your own too. 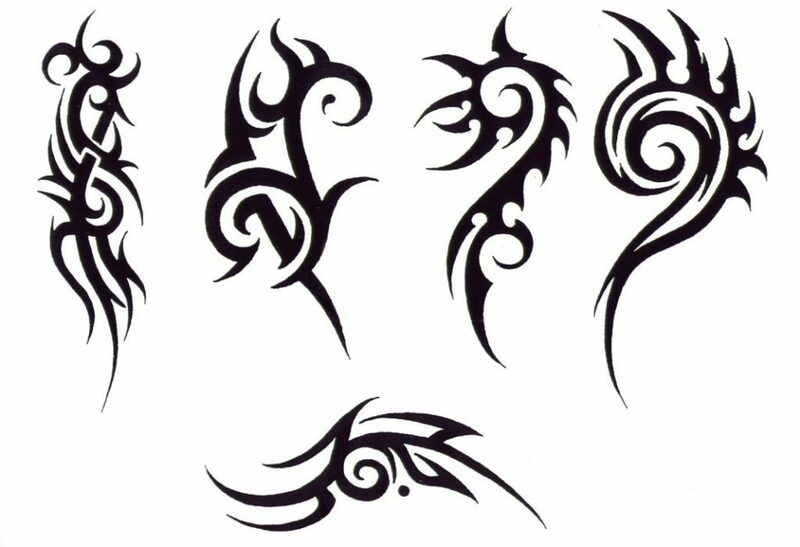 Just like some name tattoos or some tribal designs of tattoos. For making a collection of most popular tattoo designs for men, we need to bifurcate them into tattoo designs for men on wrist, tattoo designs for men on wrist tribal, tattoo designs for men on fingers, Indian God Shiva tattoo designs for men, Indian Sanskrit tattoo designs, Indian religious tattoo designs for men. It goes for a long list, so let us first have a look at the tattoo design ideas for men. These are the cool tattoo designs for men on wrist, which can be jumbled together on entire arm of a men or just a single design on wrist. 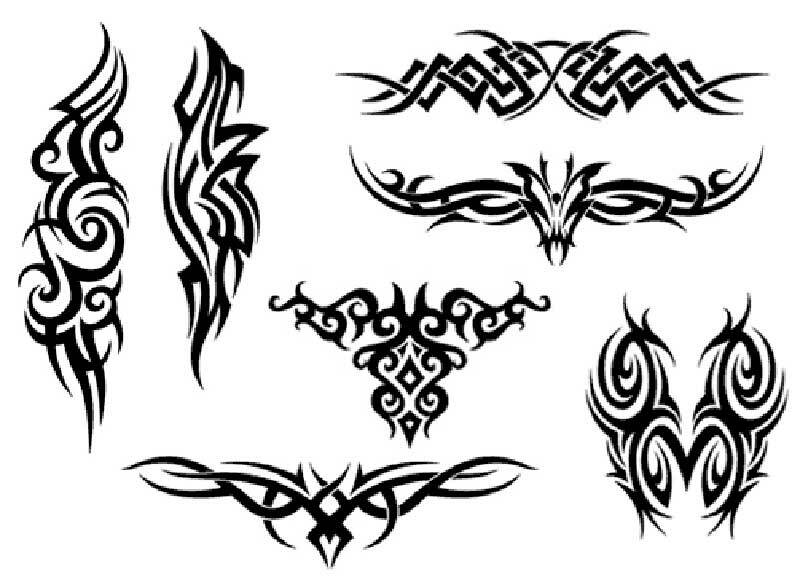 The tribal tattoo designs give a real manly look to the muscular arms of any man. Don’t you think this simple tattoo designs for men are worth drooling for. Rose tattoo design is also an in thing these days. Having a tattoo on the body itself is a great deal as it is a painful process and to have it on the fingers is a great gutsy thing for me. The name tattoo designs on fingers can speak out your identity and the type of the person, you are in a short and simple manner. 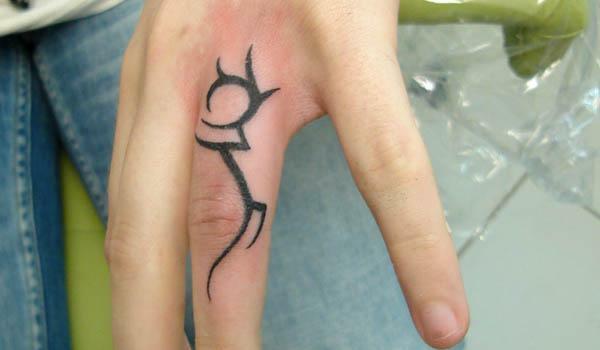 At the same time, tribal tattoos on fingers are a bit intriguing but lot more interesting. The real implication of being a man goes very well along with God Shiva as per Indian mythology. The appearance of Shiva is very well interpreted as a creator. The male side of creation of God, Shiva and Shakti. The trident or Trishul of Shiva is also one of the most popular tattoo designs for men. Among the Indian religious tattoo designs for men “Aum” is the most famous tattoo design both for men and women. It stands as a auspicious sign. 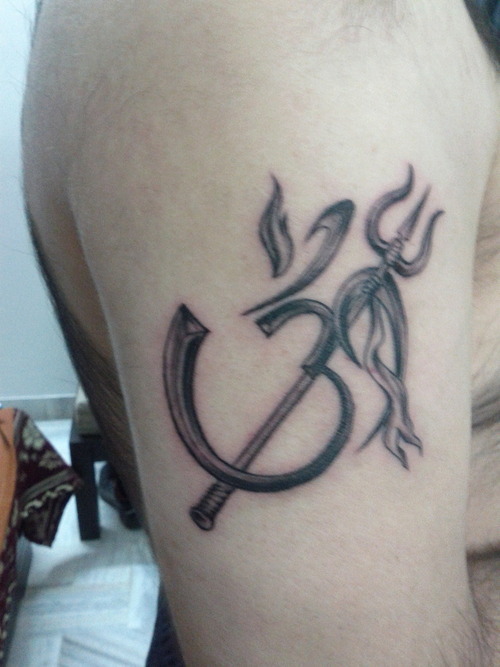 Aum, Trishul and Shakti goes as the icon of positive Aura on the body of male or female in the form of tattoo designs. Men generally prefer to have Shiva tattoo on their chest or biceps. In case of Aum tattoo or trishul tattoo designs, it goes well on wrist and arms. In India, mostly cool Indian God tattoo designs for men are reigning the fashion trends. In India, the simple Mehndi designs include symbol of Aum or Trishul as a pious symbol and respect to the belief. Have a look at some unique tattoo designs for Men which are very popular presently here. Just like the way, we have described that Indian God Tattoos are very famous among men in India, Indian actor Ajay Devgan is working on a movie called Shivaay. The first look of Shivaay is released by Ajay Devgan on his Twitter handle, which clearly shows the importance of tattoos to demonstrate the theme of the movie. Ajay Devgan is already having a Shiva tattoo on his chest and for this movie he has incorporated all important Shiva related symbols on his body in very significant way. You can see a very significant tattoo design of trident trishul on his back, which Shiva is said to carry. A cobra snake tattoo design on his arms for the movie Shivaay. We will incorporate the pics asap. Sanskrit tattoo designs too have great variations such as Sanskrit Alphabet Tattoo Designs. Alphabet tattoo designs can create cool look. Sanskrit Shloka tattoo designs or Sanskrit Mantra Tattoo designs are very much in trend. They can be written in just simple manner or with many variations. Cool Sanskrit wrist tattoo designs are also very much appreciated. Tattoos in Sanskrit are very much popular among celebs. Many celebrities have gone for Indian Sanskrit tattoo designs across the world. It can be a simple shloka of Sanskrit written as a tattoo on the body of a person or a name of a person as a tattoo written in Sanskrit in the most artistic manner. Gayatri Mantra is the most famous form of Shloka taken as Sanskrit tattoo designs for men. 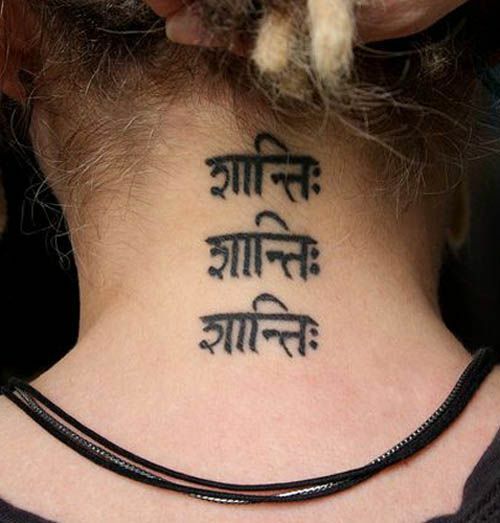 Even women go for Gayatri Mantra Tattoo design. It is advisable to educate clients on the meaning of the Shloka and match with their ideology of life. Celebrities like to have Sanskrit tattoo designs to communicate their ideology. Om Mani Padme Hum mantra tattoo written in Tibetan style does not only look good, but always advocate the real way of living. Sanskrit tattoo designs are very popular across the world as they can be created on any part of the body. 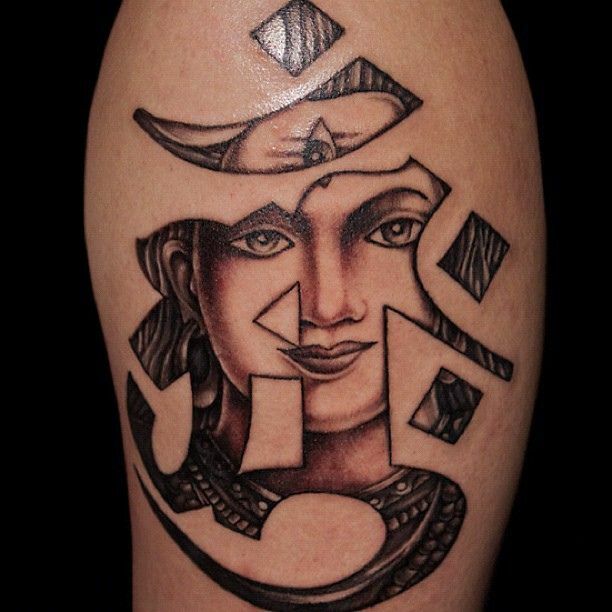 The Sanskrit tattoos give contemporary and trendy look together. Sanskrit tattoo designs on the shoulders are the most popular one. Men also love to inked the names of their beloved or son on their chest and hands in form of Sanskrit tattoos. Where would we go, if we forget dragon tattoos for men on hand. 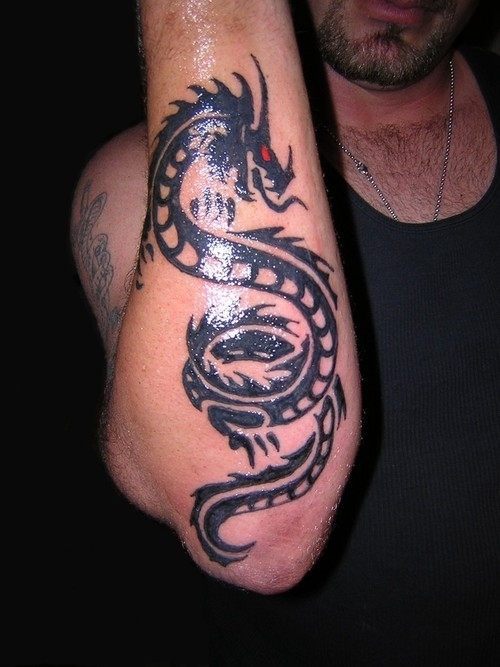 Dragon tattoo designs also goes well on arms of men. It is a rage and it tops the most popular tattoo designs for men. Dragon is ruling the world of tattoo designs. Men love to have it on any part of the body. Half sleeve dragon tattoo designs are the most sought after one. Dragons are also considered a sign of good luck so people have it on their chest. Some even try to blend dragon with Buddha tattoo designs to show belief in Chinese traditions. Simple tattoo designs of a star on wrist or a little butterfly tattoo or an outline of dragon for the tattoo designs are really good form of art. Men look great with such tattoos on their arms, chest or shoulder. Even a very simple men can look appealing with a tattoo design on their body. It changes a complete personality of a men. So go for selecting the best from the Most Popular Tattoo Designs For Men.